In gestational diabetes (GD), sometimes the medicine form of insulin is required to help control blood sugar. A frequently asked question, when to start it? Normally, insulin is produced by a gland behind the stomach called pancreas. But this hormone doesn’t work as well as usual if you have GD, a kind of diabetes that only occurs during pregnancy. And high blood (glucose) sugar can carry some pregnancy complications. The amount of insulin you need in pregnancy can increase drastically since your body is providing for both you and your baby. This significant increase of insulin demand is particularly true in late pregnancy. Furthermore, some pregnancy hormones to support the baby growth can interfere with the mother’s insulin, making it work harder and may cause a condition called insulin resistance (when cells of the body cannot respond insulin as usual). All these things may lead to GD if the body fails to provide adequate insulin. It usually doesn’t develop until later in pregnancy, though a few women can also have it earlier. The exact cause is not fully known. Experts don’t know why some women have GD and others don’t. The good news, the condition often responds with lifestyle measures such as eating right and regular exercise! In many cases, appropriate lifestyle measures are often helpful enough to control GD without medication. But in some cases, diabetic medication such as insulin therapy is required to help cope with. When you start insulin, this doesn’t mean that you have failed – it just means that you need extra insulin (extra help) since your body is not producing enough of its own insulin. Many pregnant women with GD (including for those who take insulin therapy) can still have healthy pregnancy. Again, the main goal of insulin therapy is to help lower and control blood glucose level. However, sometimes it may also cause hypoglycemia (when blood glucose is too low or lower than normal). As long as you take it as well as directed, hypoglycemia should be preventable. Another issue is the risk of weight gain. Fortunately there are plenty of options to cope with it, learn more in here! The stomach acid can be strong enough to destroy insulin before it goes to the circulation (bloodstream). Therefore, you cannot take it as a pill. It is usually given with injection (using very thin needle) into the fatty layer under the skin, especially of the abdomen. 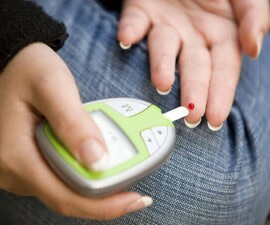 An insulin pen device is one of the most popular choices. It can be either disposable or reusable with a cartridge that can be replaced. In addition, insulin is classified according to how long it lasts and how fast it starts to work. The types available include long-acting, intermediate-acting, short-acting, and rapid-acting insulin. Which type you need to take is dependent on your individual situation. How to use insulin (giving injection)? Make sure that the insulin is in good condition! Look for any signs of yellowing or clumping, if present don’t use it! And to keep safe, always use a new needle! Set the dose of insulin (follow your doctor’s recommendation)! In gestational diabetes, the insulin is usually injected into abdomen. Use a different spot for each injection! Gently pinch the skin up on spot of your abdomen where insulin will be injected. And at the angel suggested by your doctor, put the needle in and press the button /plunger (hold for a few seconds, depending on the dose of your insulin)! Pull the needle carefully, and withdraw the pinched area! So, when to start insulin in gestational diabetes? When insulin is given depends on several factors, such as your individual situation. For instance, if your blood sugar is higher than your target after eating, you may need to take insulin before eating. And if your blood sugar is high after fasting (before breakfast), you may need to take it before bedtime. 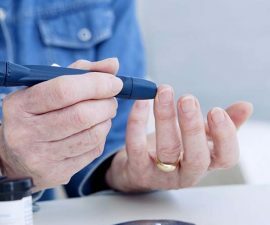 But when should you start insulin therapy? There are several different answers.